John Simon Cockle was born on 29 September 1908 in Harrington, England, son of Captain James Cockle of Liverpool and his wife Sarah nèe Simon. On 26 June 1935, he married Jessie Mackay, daughter of AD Mackay, and had one son and two daughters. He died on 3 August 1966 and his funeral was held at St Clement’s Church of England at Mosman, NSW. John Cockle was educated at Sydney Church of England Grammar School. From 1943 to 1945, he served in the Pacific area as Warrant Office Class 2 with the 2/2nd Australian Port Operating Company. He acquired a wide knowledge of the shipping industry and in 1949 became Secretary and Court Industrial Advocate of the Sydney Branch of the Australasian Steamship Owners’ Federation. From 1948 to 1960, he was state secretary of the Shipowners? Association and secretary of the Sydney branch of Master Mariners. In 1961 he was a member of the NSW Executive of the Liberal Party, becoming secretary of the Warringah Federal Conference. He belonged to the GPS Old Boys Club, was interested in cricket, tennis, golf and surfing, and lived at Mosman. 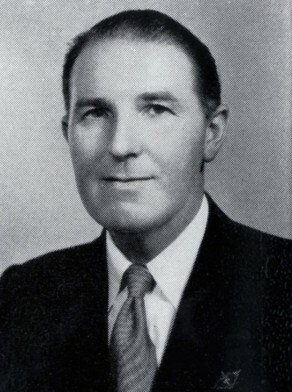 John Cockle was elected as a Liberal Member of the House of Representatives for Warringah on 9 December 1961 and served until 9 December 1965. He was a member of the Printing Committee and of the Joint Committee of Public Accounts from March 1964. John Cockle was elected Alderman for City Ward, from 3 December 1953 to 30 November 1956. He was a member of the Works Committee and the Health and Recreations Committee from 1954 to 1956.